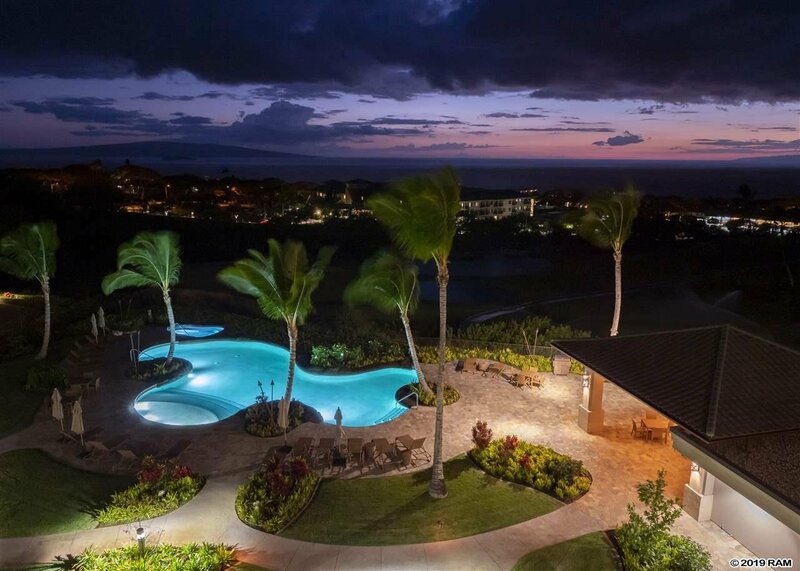 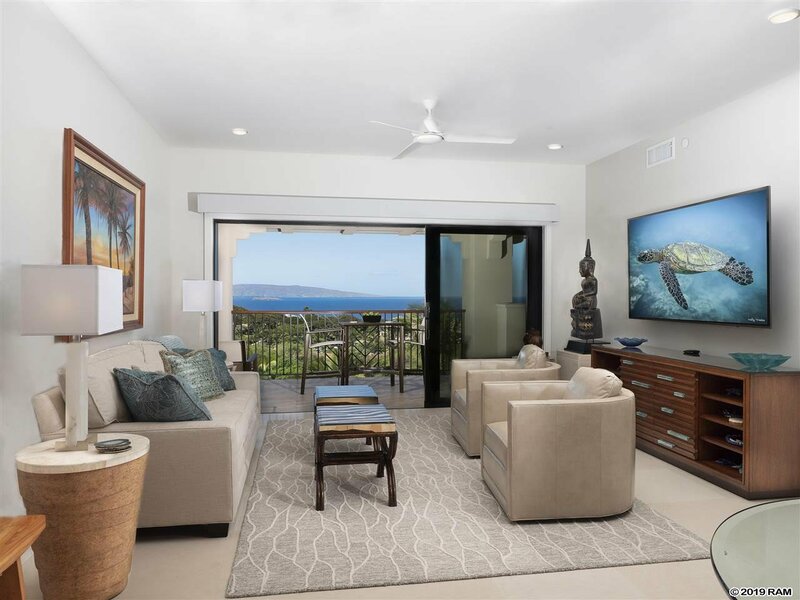 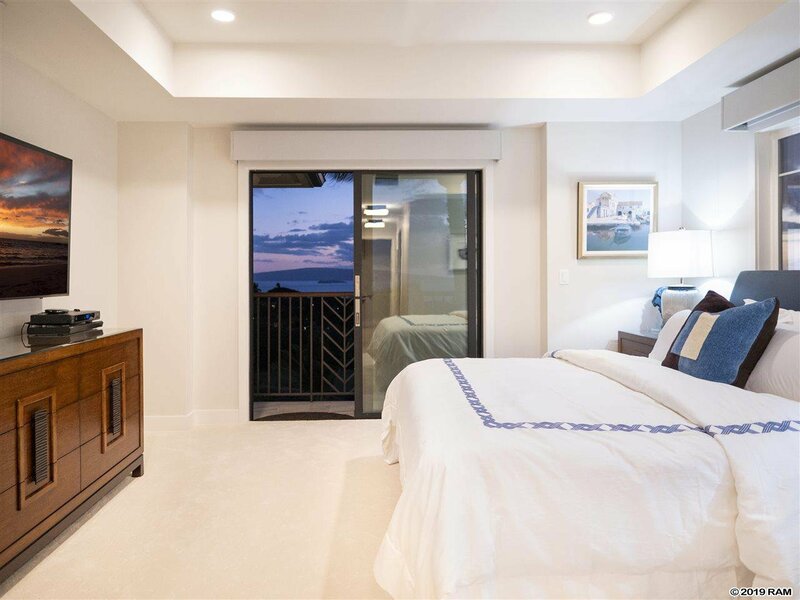 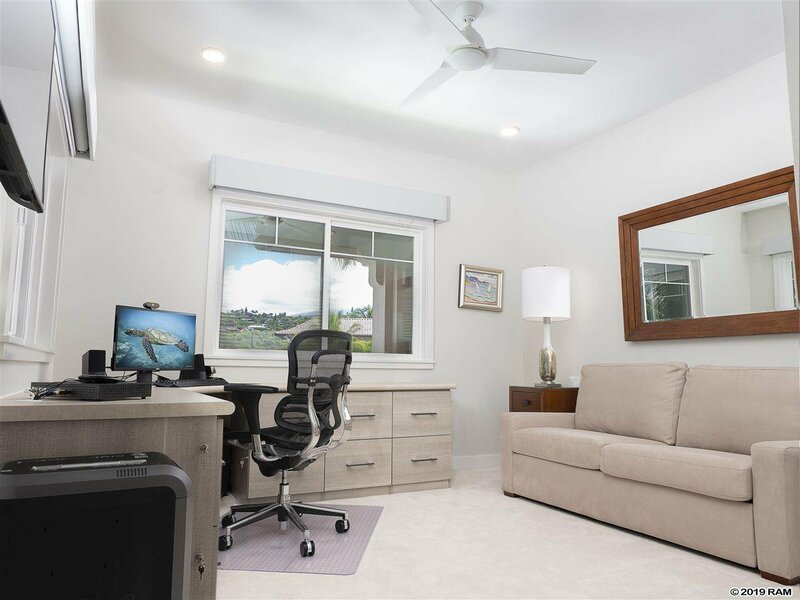 World-class ocean and outer island views from this newly built 3 bedroom, 2.5 bath residence in Keala O Wailea. 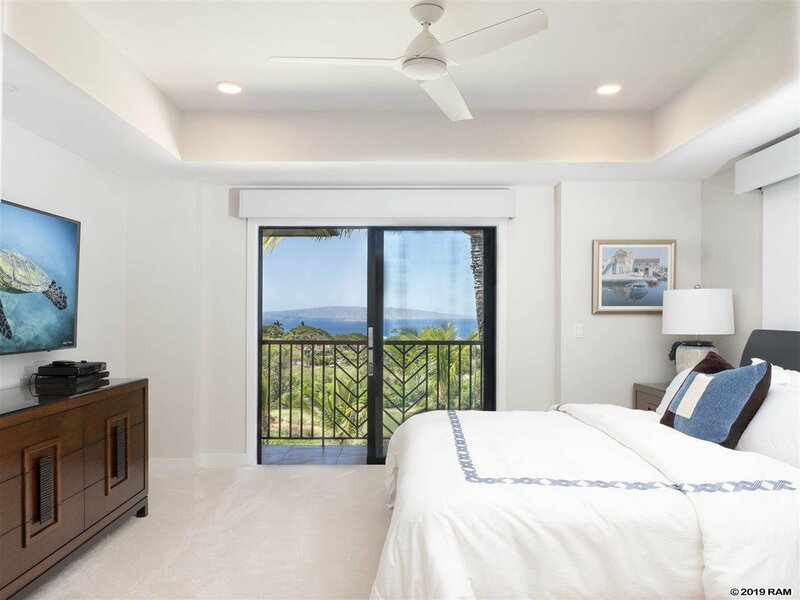 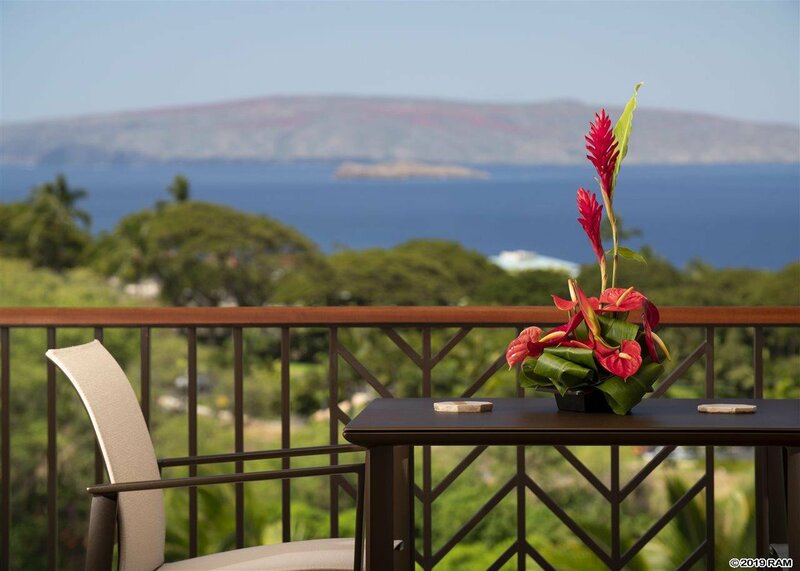 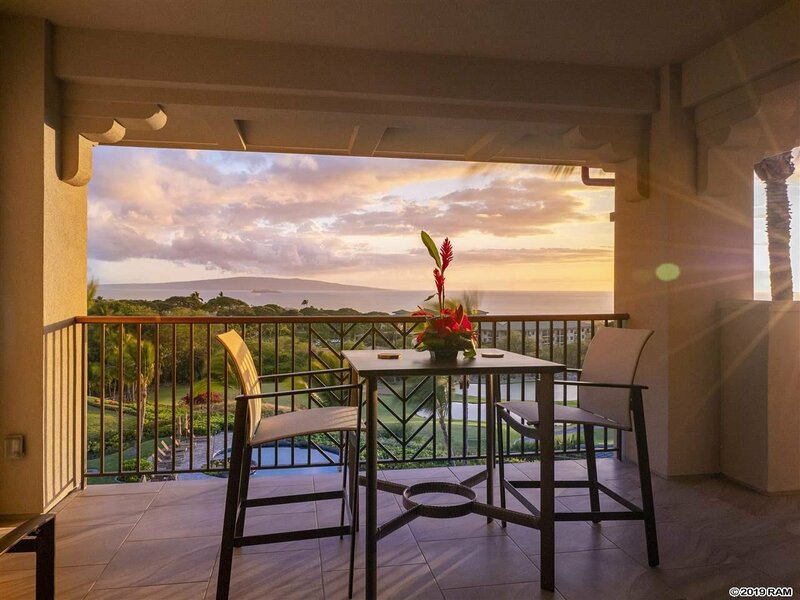 This unit is located in the center of the property at the highest level to provide extraordinary views of Maui’s pristine South Shore. 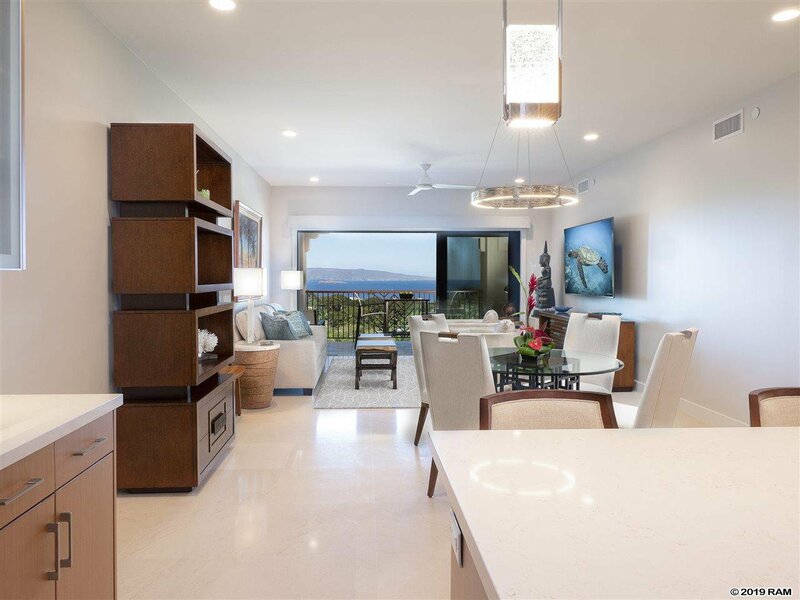 The elevator is steps to your front door and the open concept design brings ocean views in to the kitchen, dining and living areas. 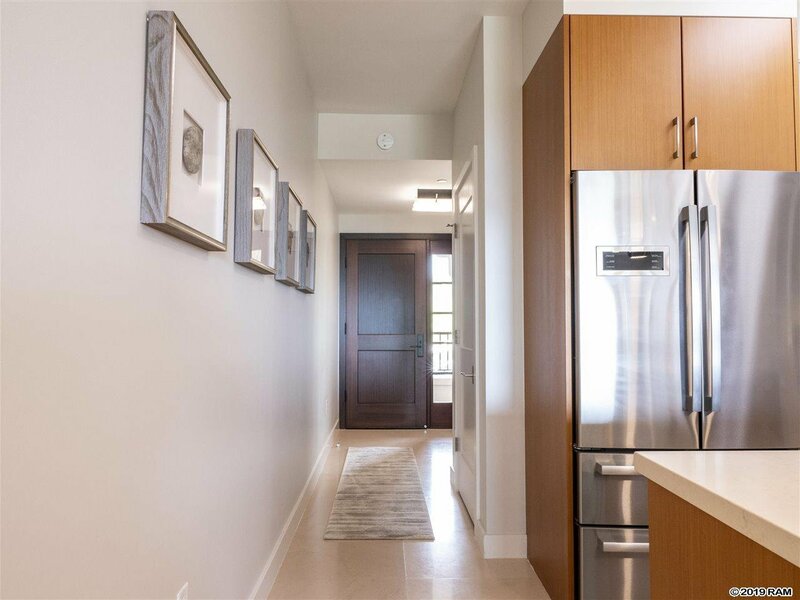 A 200 sq. 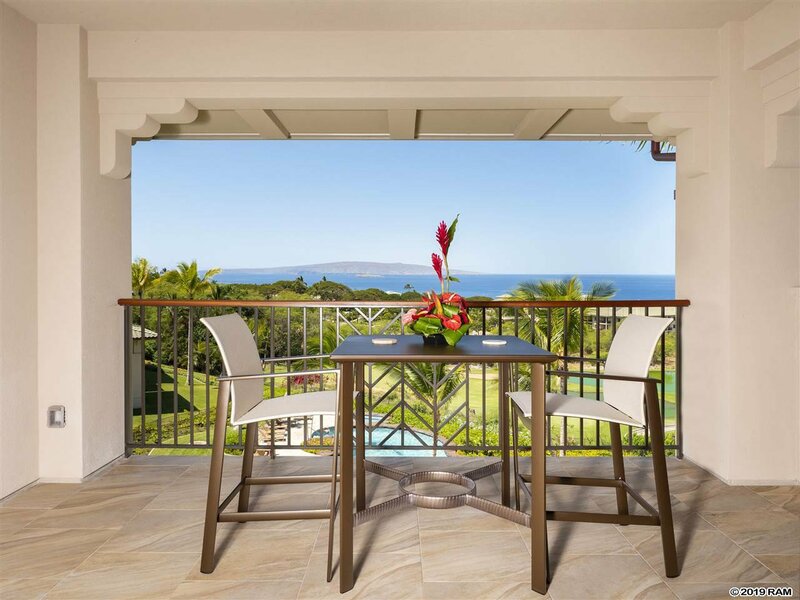 ft. covered lanai is perfect to enjoy dining, relaxing and the stunning views. 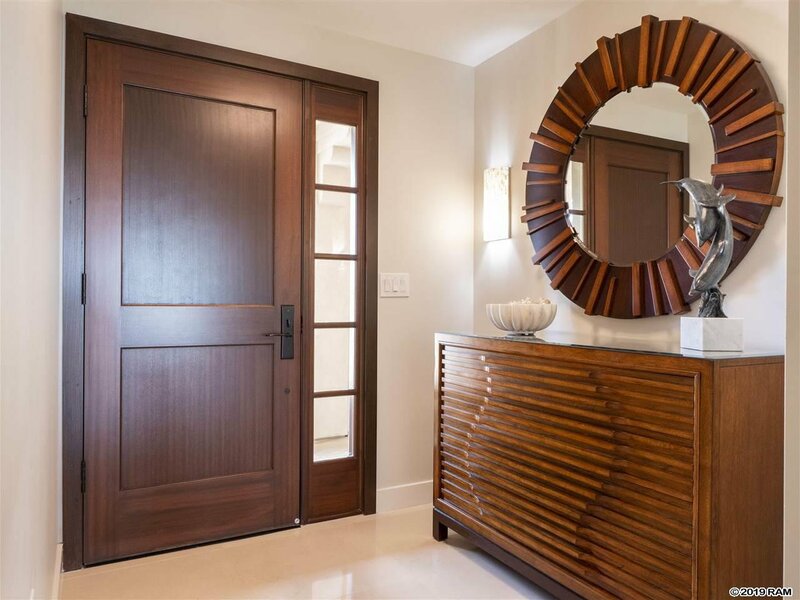 Contemporary lines and fine materials throughout combine to create a truly modern residence. 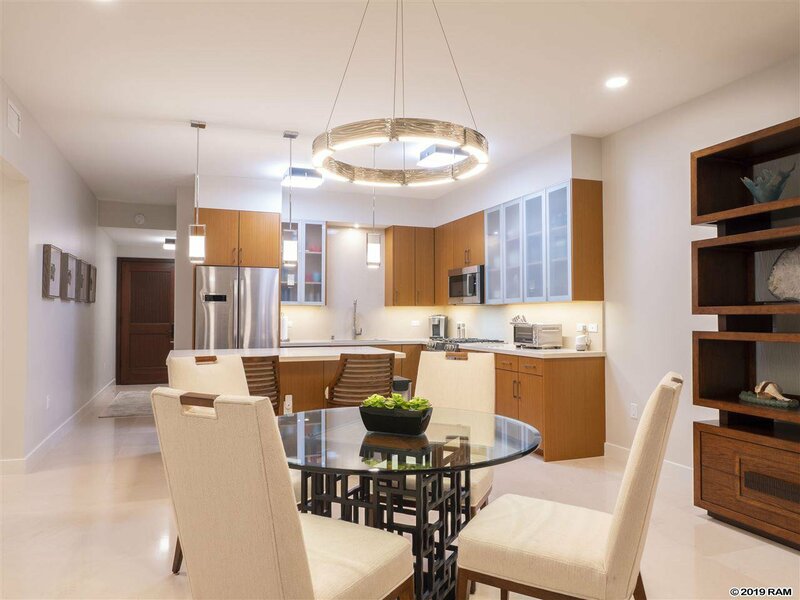 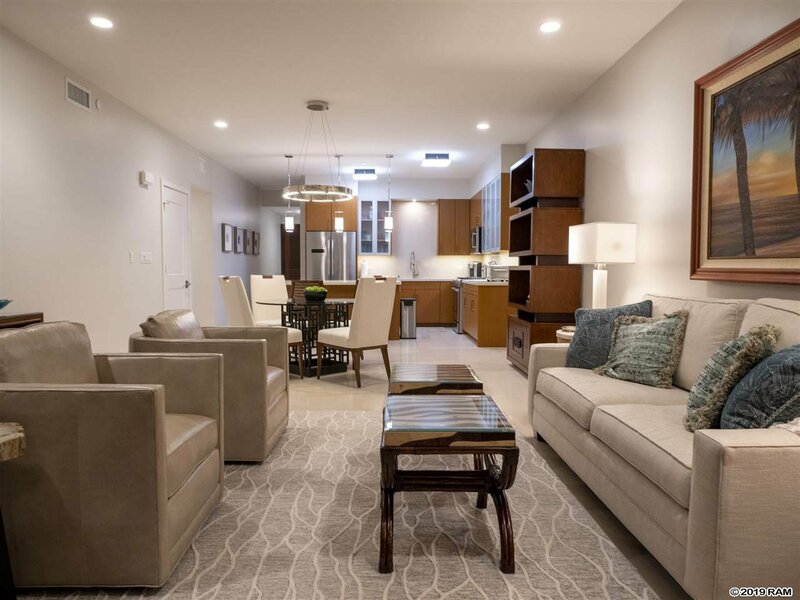 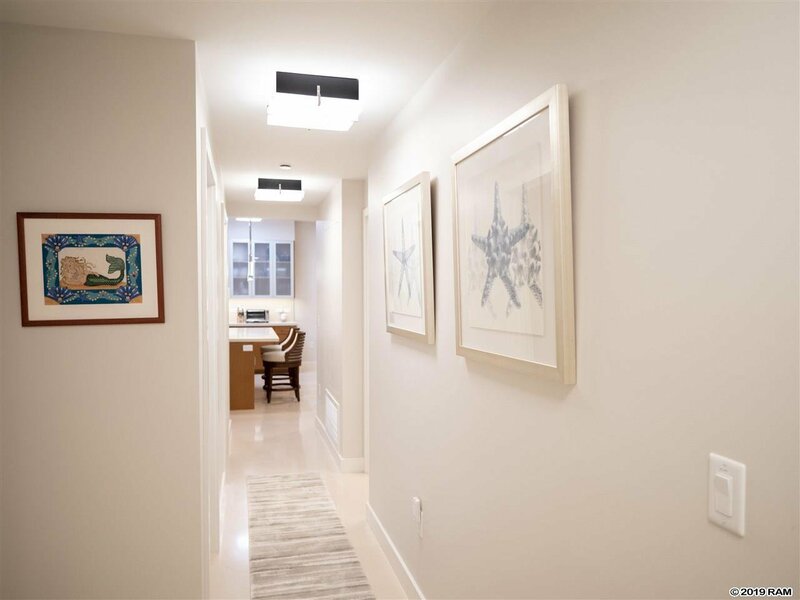 New motorized electric shades, California closet design, and upgraded overhead light fixtures, kitchen pendant lights and contemporary living room chandelier contribute to the modern luxury of this residence. 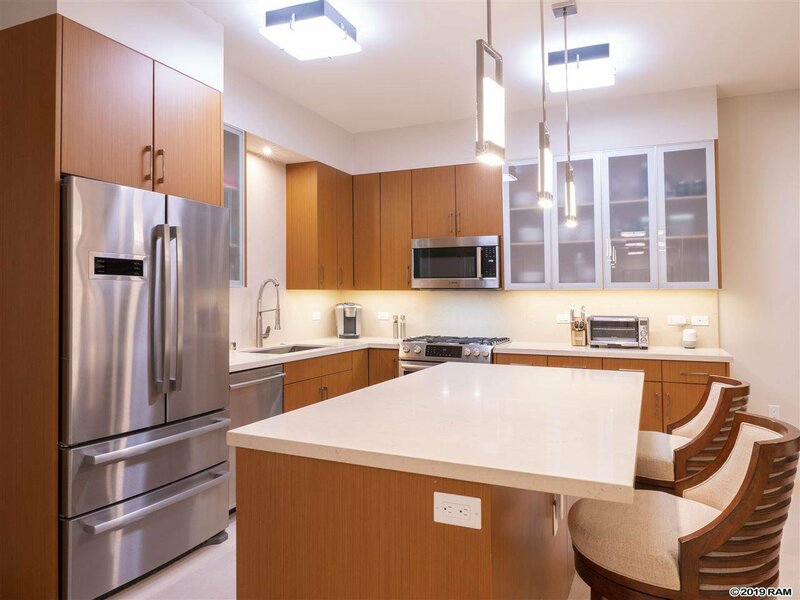 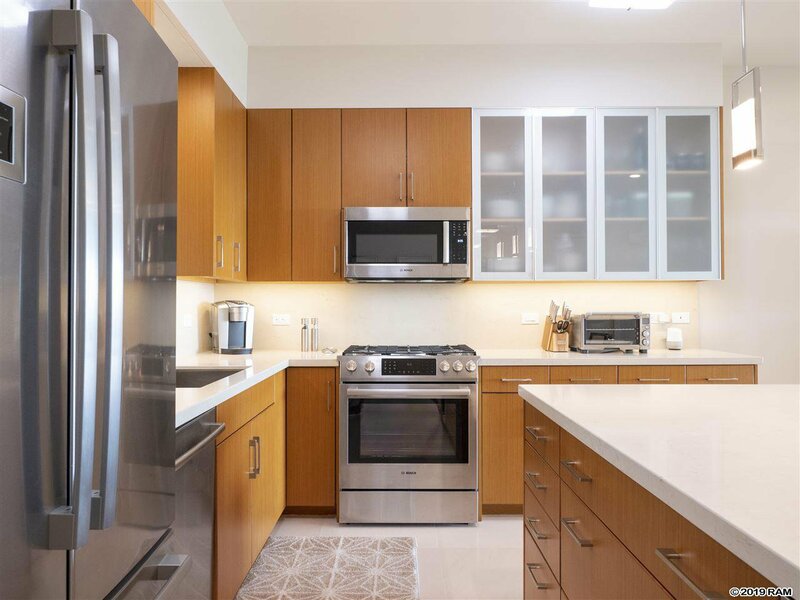 The chef’s kitchen features stainless appliances, gas cooking and ample counter space. 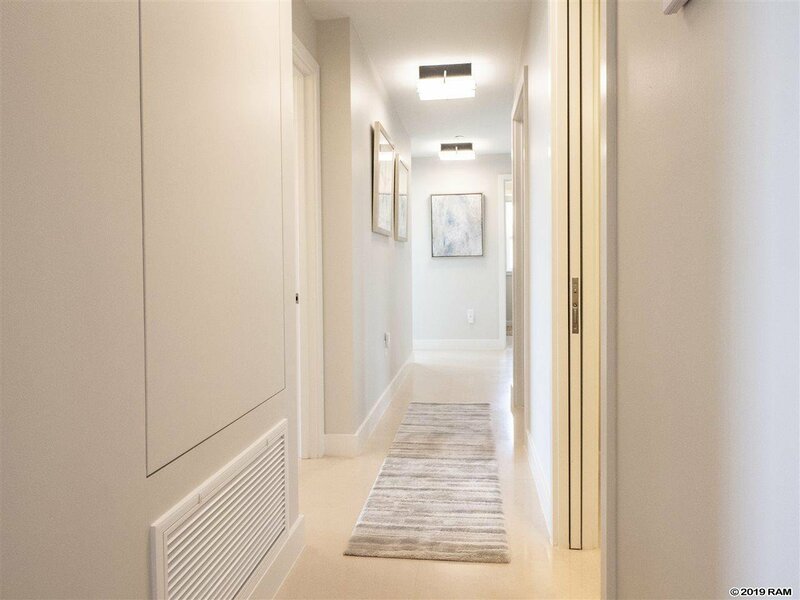 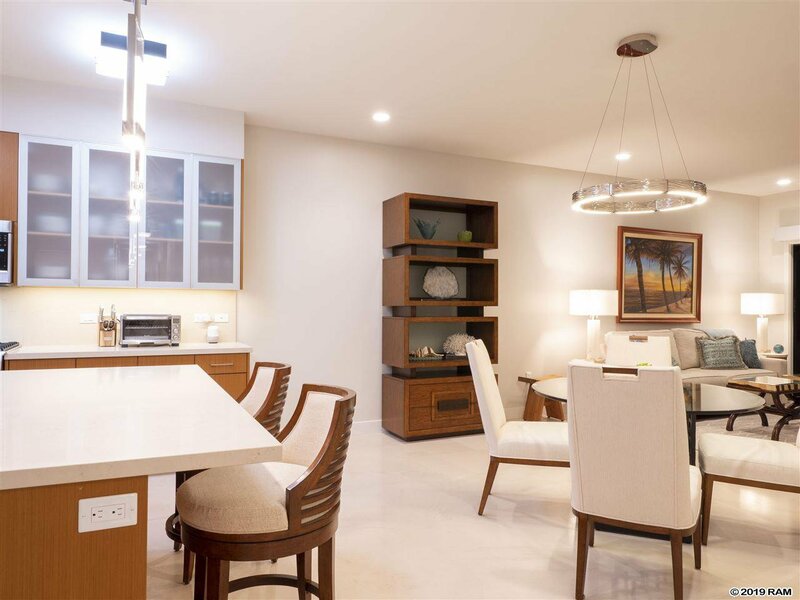 Porto beige honed limestone tile floors unite the open living areas and hallways, and the bedrooms feature neutral colors in carpeting and have generous closet spaces. 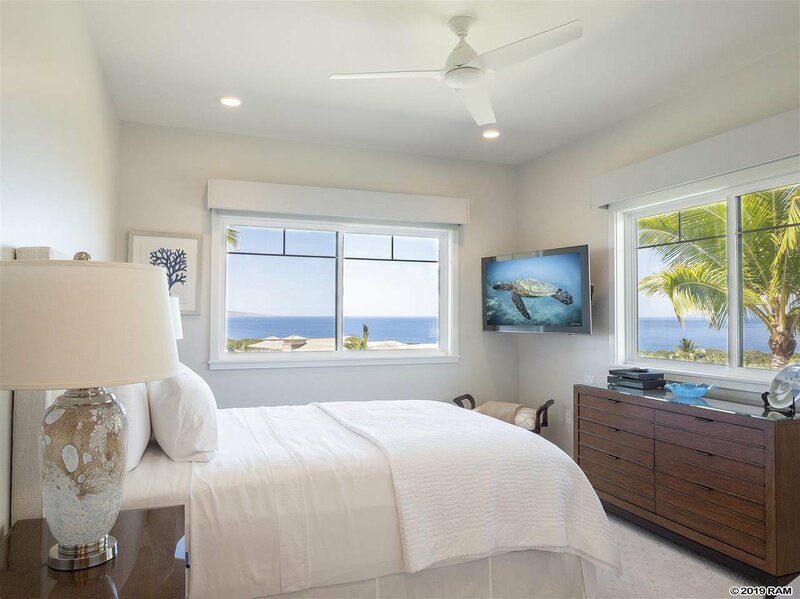 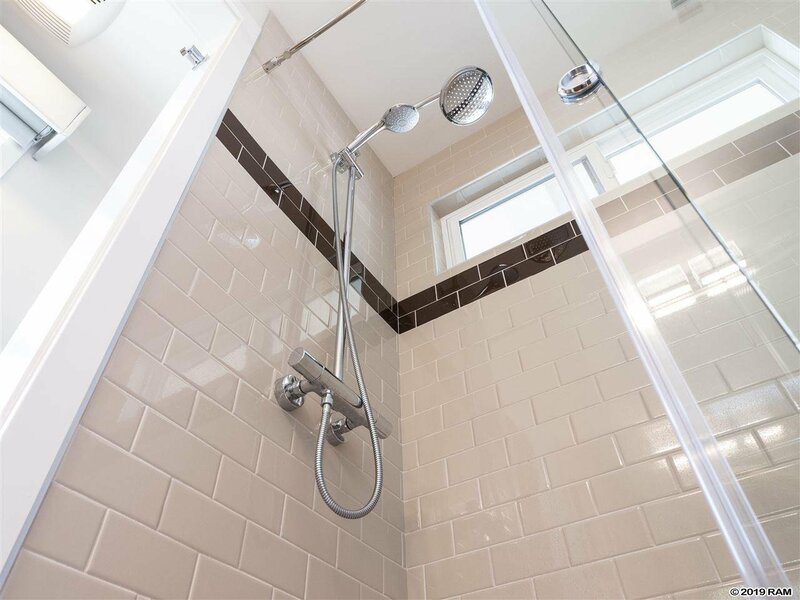 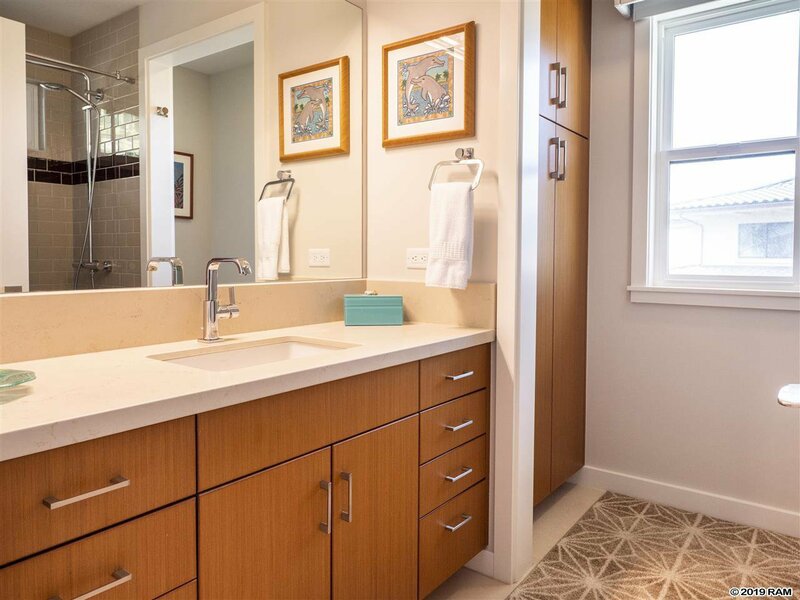 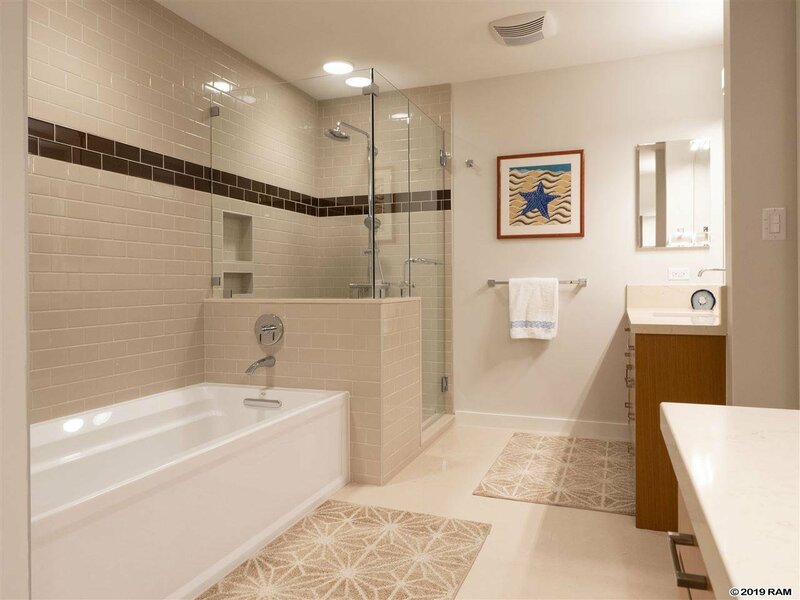 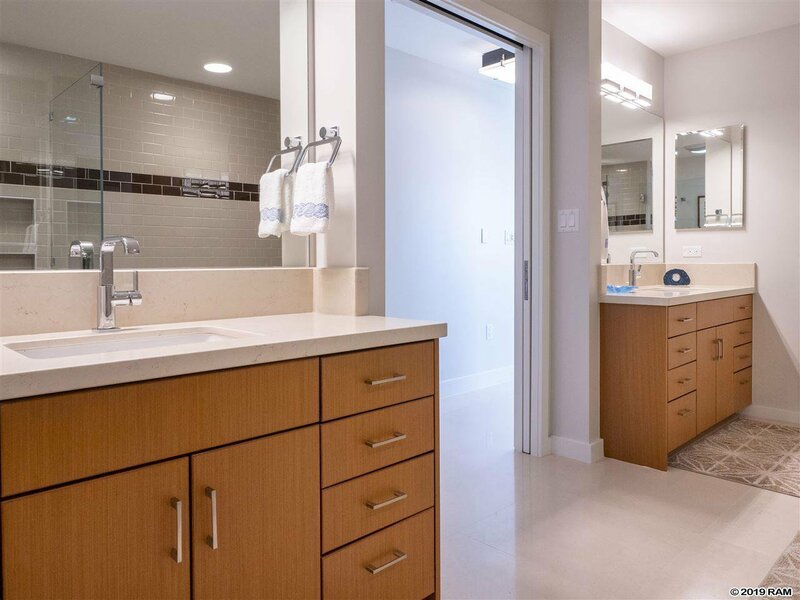 The master suite has gorgeous ocean views and a spacious bath with separate built-in sinks and vanity spaces. 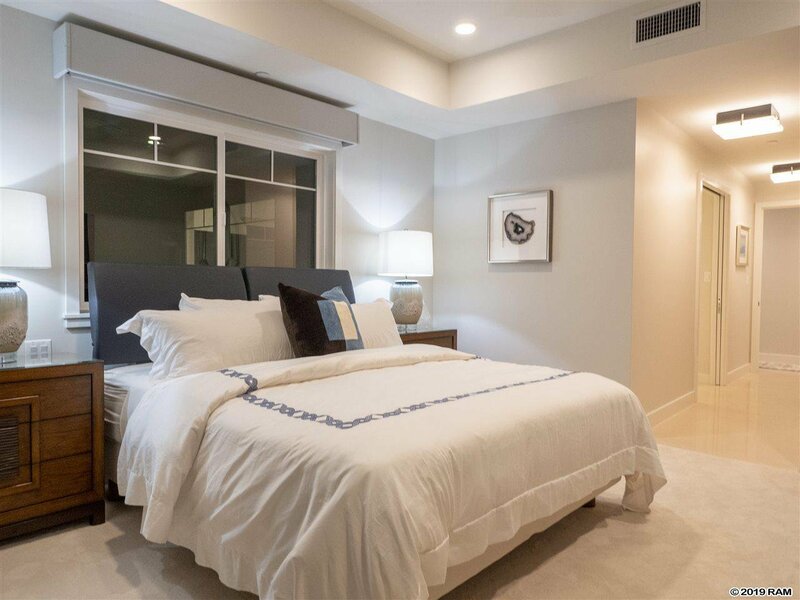 Both additional bedrooms are bright and have well-designed closets. 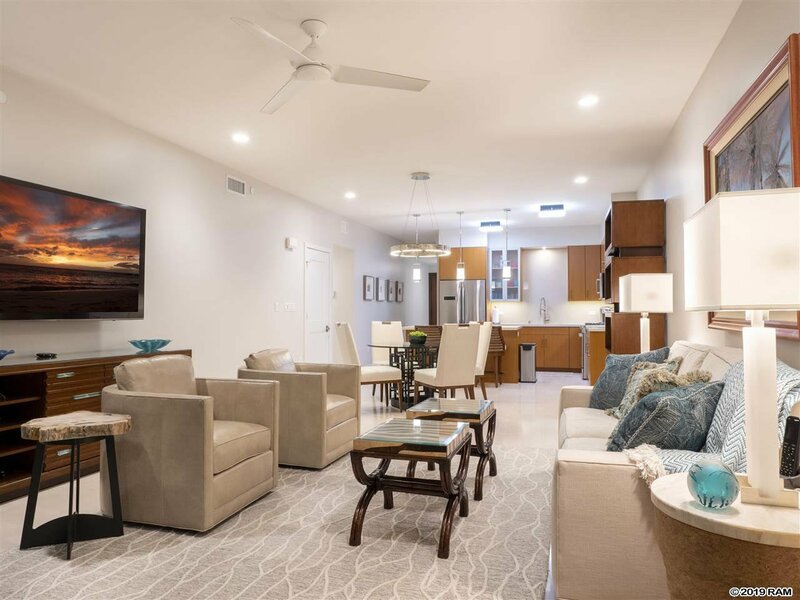 The beautifully designed pool and clubhouse amenities include spa, fitness room, gas grills, a spacious food prep area, covered dining tables and seating with ample lounge chairs to enjoy the South Shore view. 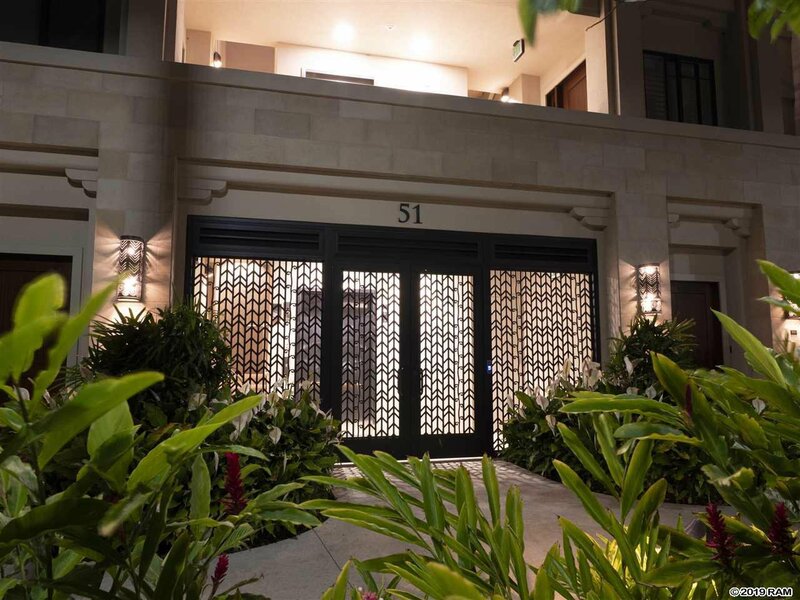 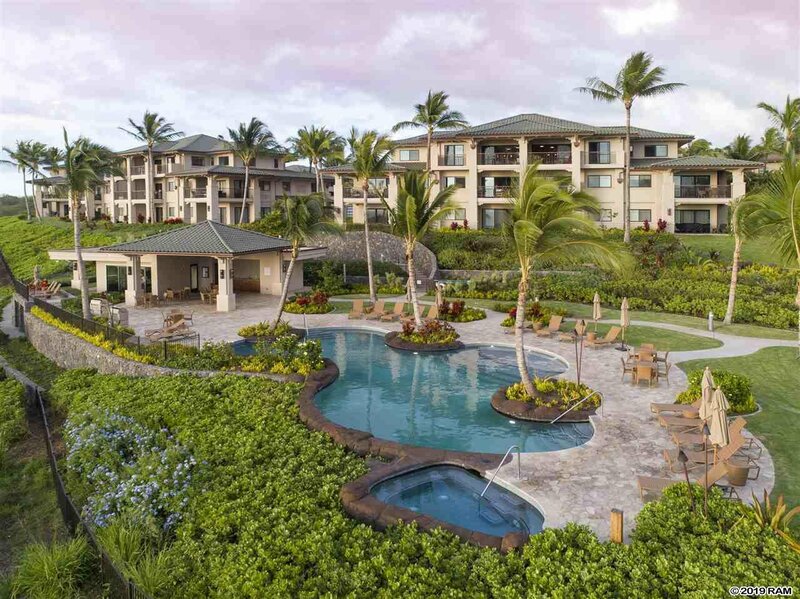 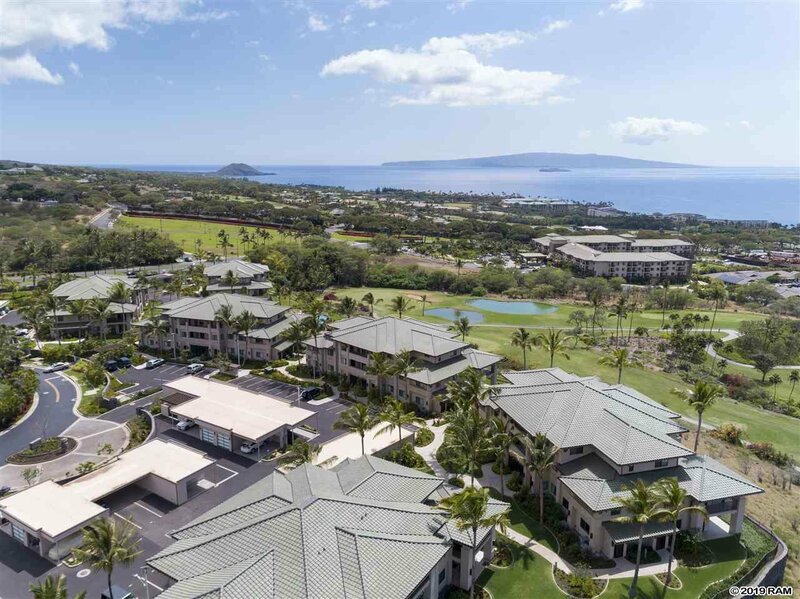 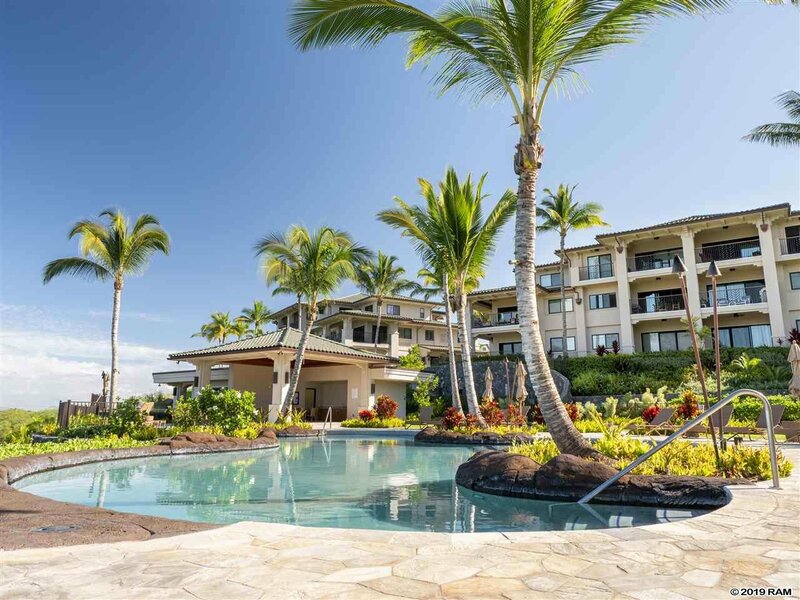 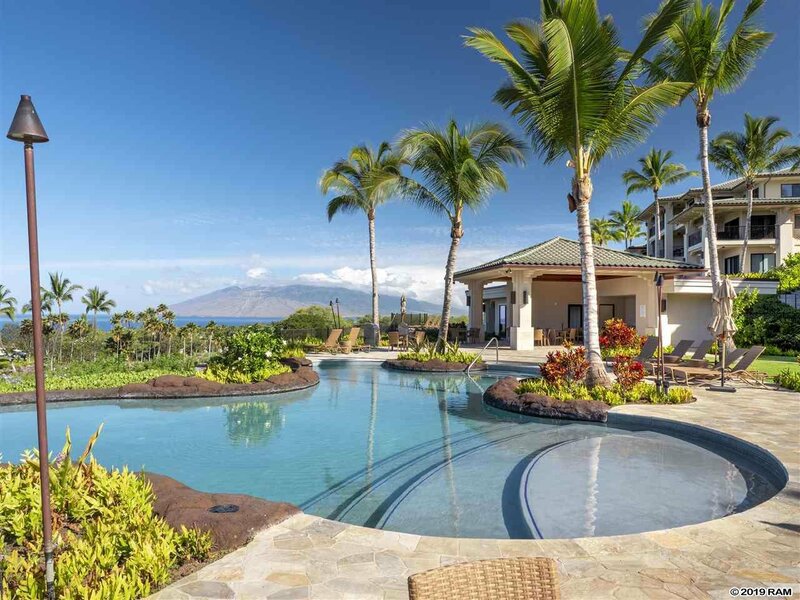 Located in the heart of Wailea, Maui’s newest development is walking distance to shops and dining, and a short drive to all of Wailea’s offerings from Championship golf, to The Shops at Wailea and Maui’s incredible beaches.